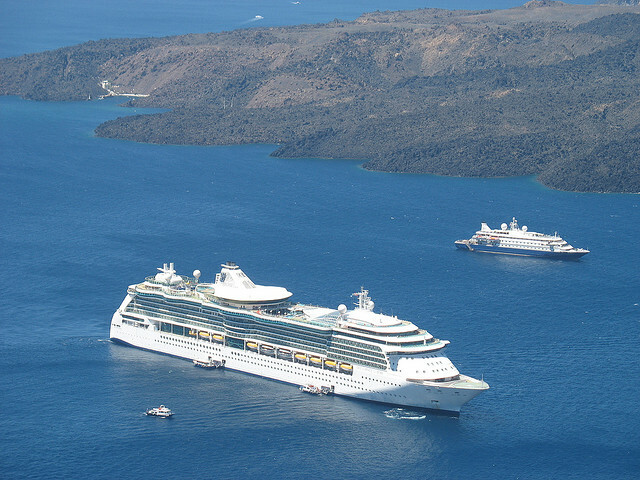 A thousand cruise-ship passengers got the fright of their lives when a prankster took over the vessel's public-address system and told them to "abandon ship." 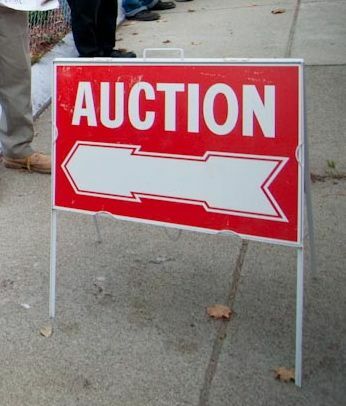 "When the alarm went on the second time and we came out here, we were just thinking, certainly, it's something silly, surely someone just bumped the door or something, certainly they didn't come back," said Linda Huggins, who owns the store with her husband Randy. Powerful equipment in the wrong hands could mean trouble for your business or organization. 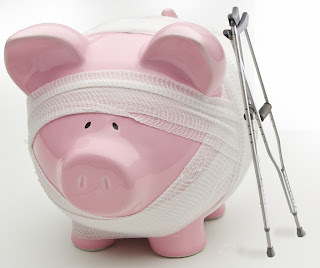 It is important to have a back up communication plan if your main one malfunctions or gets into the wrong hands. 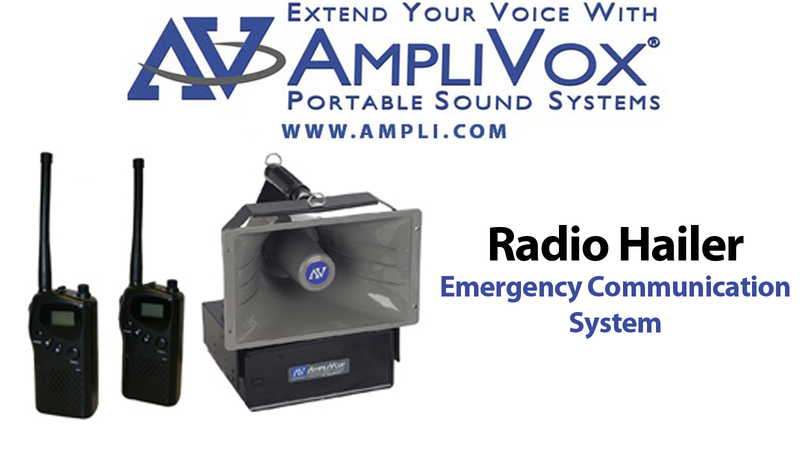 The Radio Hailer Emergency Communication System is a powerful way to communicate to large crowds of panicked people in emergency situations. I just wanted to take a moment to thank you both for all that you did to get the lectern order processed and the lecterns made. It was so exciting for me to get back from NY to see them here. In addition, you went above and beyond by drilling the holes for the goose neck microphone mounts. I can’t thank you enough and I will always recommend and encourage our team to work through AmpliVox in the future. An all-in-one PA System like the Digital Audio Travel Partner is the ideal system for a variety of events and uses. 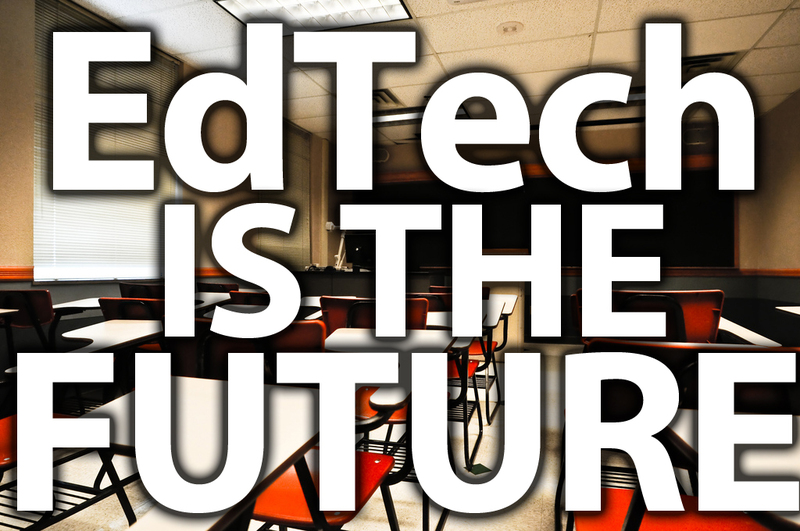 If you run a school, organization, or a business, you will want a system to work for all of the different events or applications. Since there is no use buying a different PA system for each activity, you need a utility player like the Digital Audio Travel Partner. Feedback results when the amplified sound hits the microphone at nearly the same volume as the source. 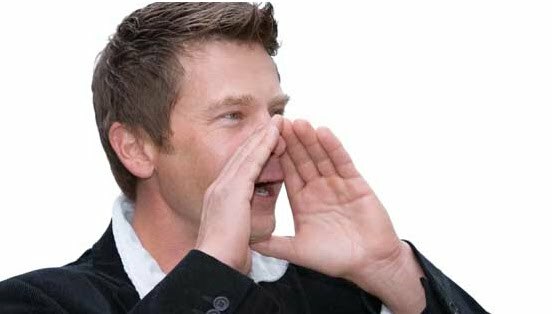 You are generating a sound wave which is picked up by the microphone, amplified by the sound system, picked up again and amplified more by the sound system and so on. 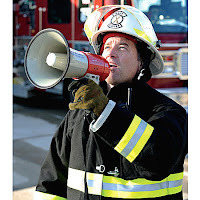 It is characterized by howling from the speaker or a ringing noise. The easy cure for microphone feedback is to turn down the volume. The feedback goes away but now everyone can’t hear what you are saying. 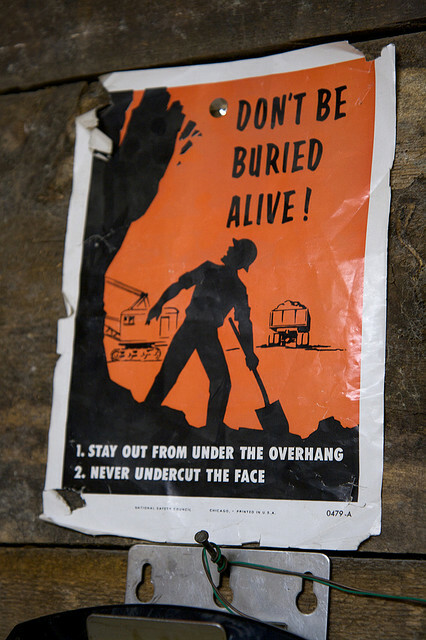 The better approach is to set up the system so feedback is prevented in the first place. 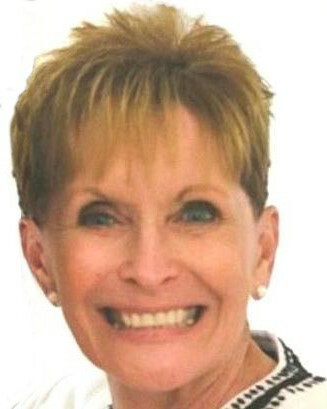 What you are trying to do is get more gain from the system. Gain is the difference (in sound level) between the original source and the amplified signal. 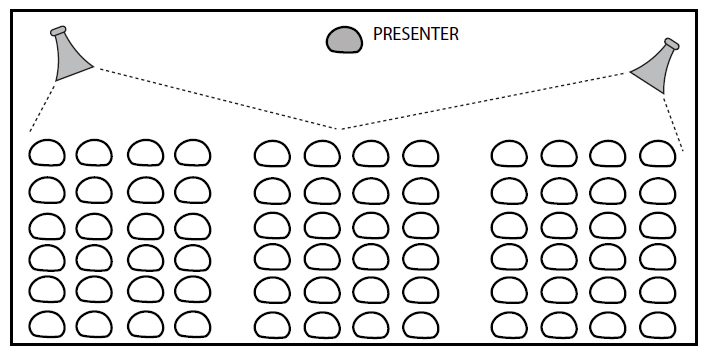 For example, an audience member is sitting 35 feet from you. You are speaking without an amplifier. 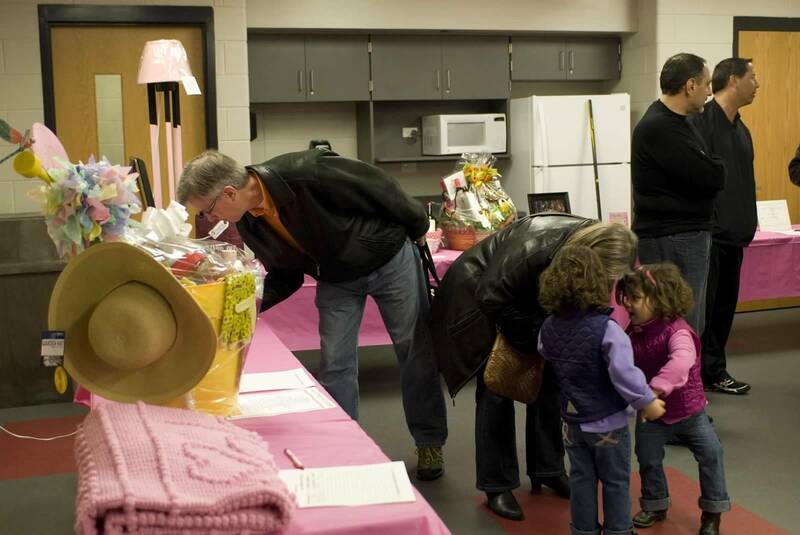 The audience member hears the sound at 65dB. When the system is turned on, you are heard at 77dB. 77 minus 65 is 12. That is a gain of 12dB. A decibel is a measure of sound that is based on proportional measurements and is logarithmic in nature. To get 3dB more gain is equal to doubling the sound level. Although 12dB doesn’t sound like much of an increase, it is 16 times louder. The whole idea is to get as much gain from the system as possible without feedback. 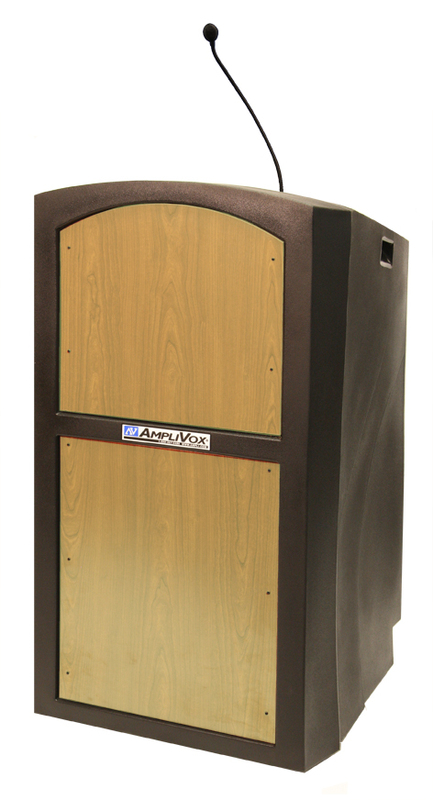 This 30-watt system can reach an audience size of up to 500 people and simultaneously plays and charges your iPod or iPhone! It is also compatible with other MP3 players with a standard headphone jack. 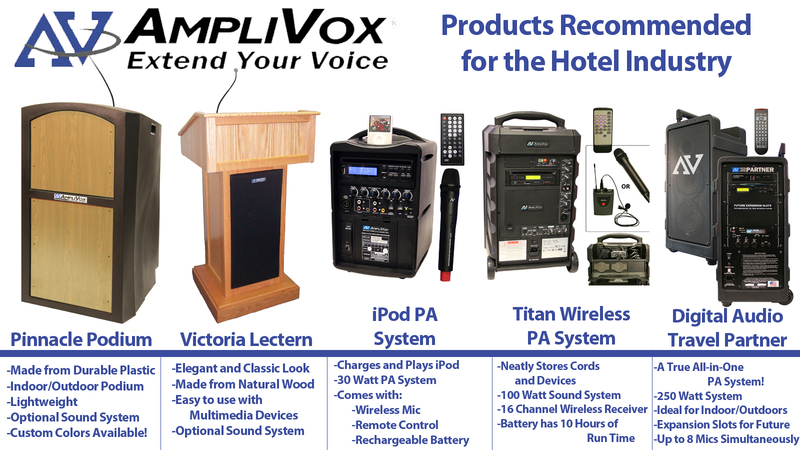 With the Voice Priority Feature that dims the music down when speaking into the microphone, the iPod Portable PA System is a presenter’s best friend because of its ease of use and functionality. This is our most powerful PA system at 250 watts and has every audio and mic option that you can imagine. It has an extendable luggage handle and rolling wheels to make this travel like a small piece of luggage. It has a built in CD player, USB port, integrated electronics for full and clear sound, and boasts three expansion slots to keep you up date with new technologies. This product comes witn an industry leading 6 year warranty. Connecting an iPod/iPhone to this PA system is a cinch. Want more power? Upgrade to a Digital Audio Travel Partner PA System Bundle for even greater sound coverage. 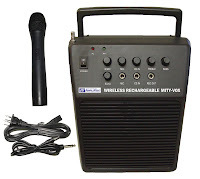 The Wireless Audio Portable Buddy is a 50-watt sound system that comes in a discreet small briefcase sized case and weighs only four pounds (eight with batteries). The battery life is an incredible 200 hours! That is no typo. 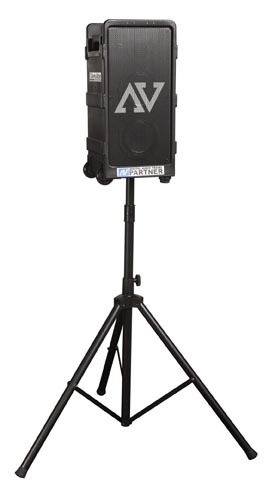 This small PA System can reach an audience of up to 1,000 people. This system can play music from an external device like an iPod, iPhone, or MP3 player and comes with a Six Year Warranty so you can enjoy crisp and clear sound for years to come. 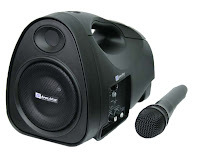 Looking to buy one of the best small portable PA systems on the market? 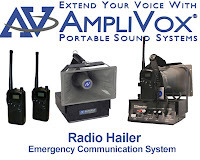 Look no further than the revolutionary line of personal-sized pa systems from AmpliVox Sound Systems. Our systems come with wireless microphone options, long battery lives, easy-to-use controls, and lengthy warranties of up to six years! 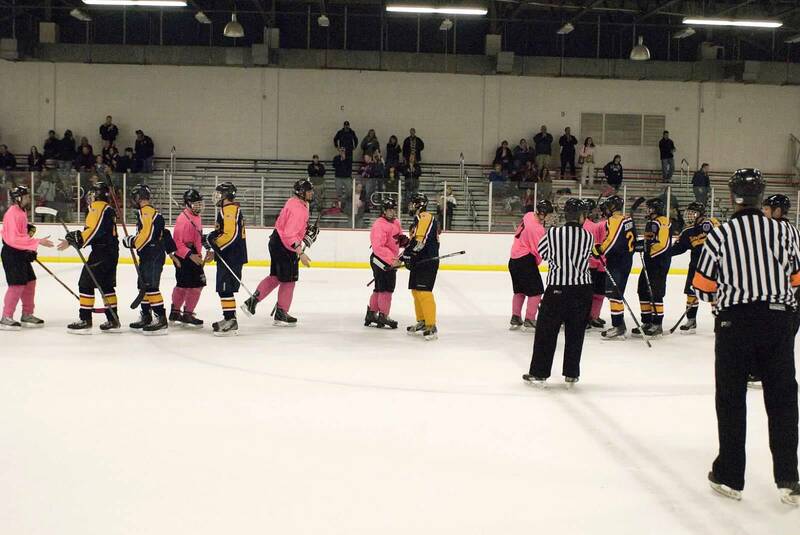 These systems are commonly used by tour guides, education professionals to amplify their voices in their classrooms, entertainers, and even sports coaches. The Belt-Blaster Waistband Amplifier is loved by tour guides and entertainers alike because it is a lightweight PA system that allows a wide range of motion without the system getting in the way. It is a 5-watt PA system that weights only 2 pounds! Not enough proof? Watch this video about the Belt Blaster being used by Blind Ski Guides to guide blind skiers. 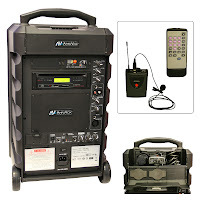 The Mity-Vox Portable PA System is a wireless system that is powered by a built-in rechargeable battery. 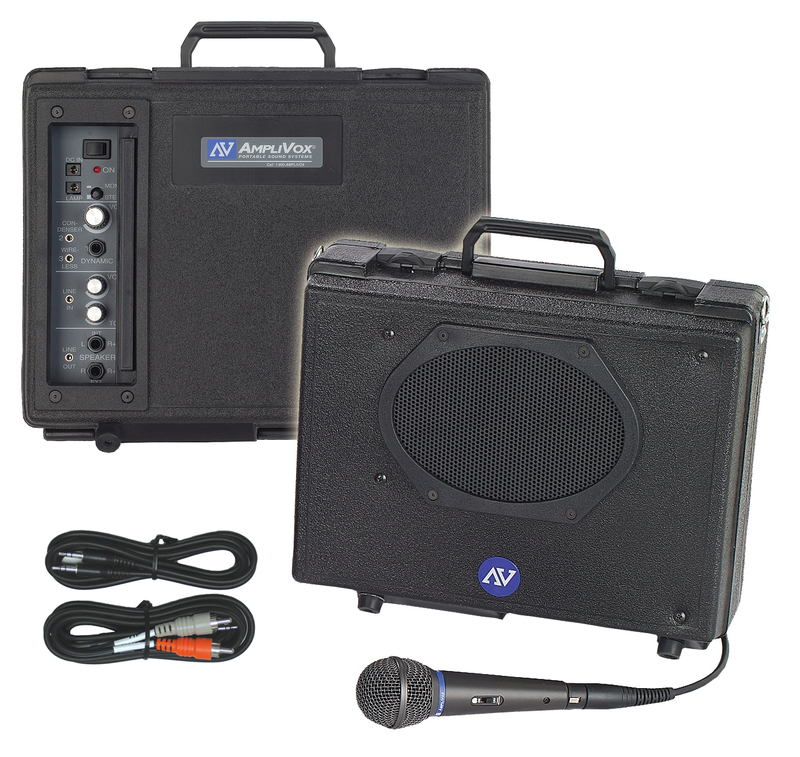 The 20 watt system has a storage compartment and comes with a protective case and AC recharger. Presenters are able to easily plug in their iPhone/iPod, CD player, or musical instrument for crystal clear sound without the hassle. Watch the MityVox Small PA System video to see just how easy it is to use. The Mity-Lite Portable PA System is a favorite among cheerleading teams and presenters for its wireless microphone, over the shoulder strap, and easy-to-use functions. 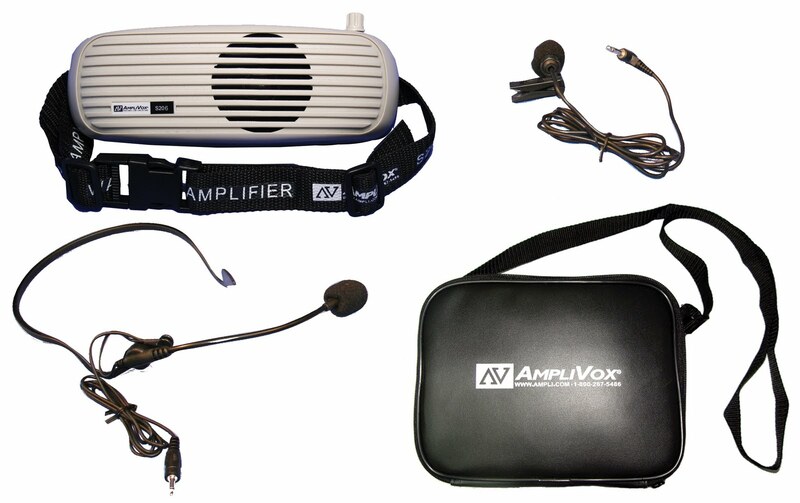 The Wireless Audio Portable Buddy has been an AmpliVox favorite for decades. 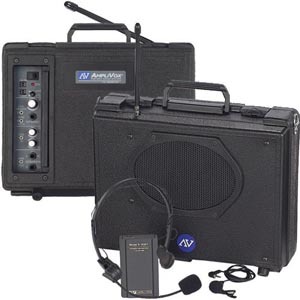 It comes in a travel-friendly briefcase size package and can clearly project your voice or music up to 1,000 people. Play your audio through an iPod or any other external device. 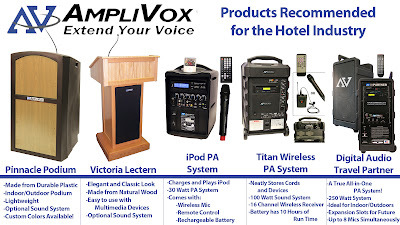 The iPod Portable PA System from AmpliVox is another versatile option from AmpliVox. 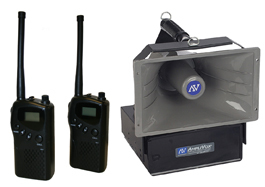 This 30-watt system features a remote control, iPod dock, and wireless handheld remote control. 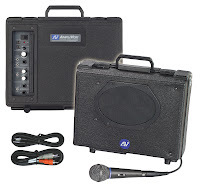 The built-in battery and protective case make this a favorite among AmpliVox customers! 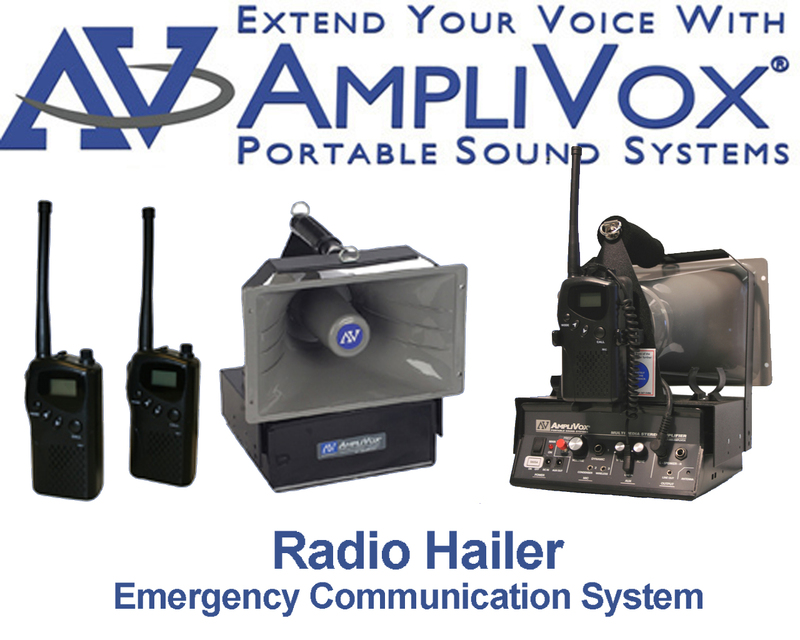 Radio Hailer Emergency Communication System: This system is a staple for emergency preparedness because it allows the user to communicate over large areas and to large groups of people from a remote location, up to one mile away! 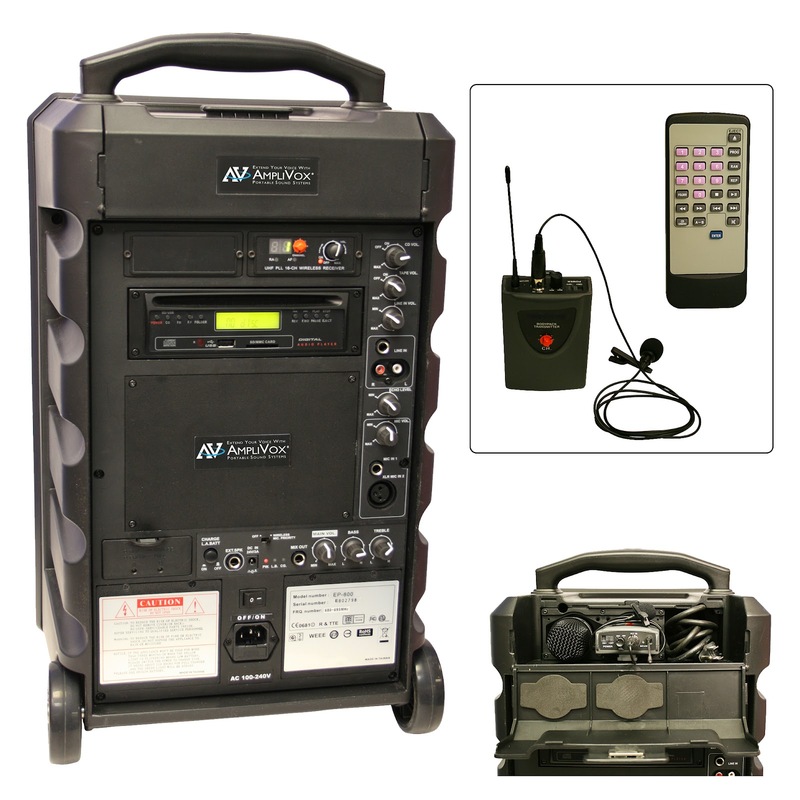 The Digital Audio Travel Partner is perfect for any indoor or outdoor event needing a large-area PA system for presenters and music. It is 250 watts and allows users to easily plug in an iPod/iPhone as well as use other external devices and instruments. It is capable of using 8 different wireless microphones simultaneously with a wireless microphone kit! 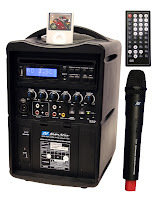 The iPod Portable PA System combines portability with convenience in a nice lightweight package. 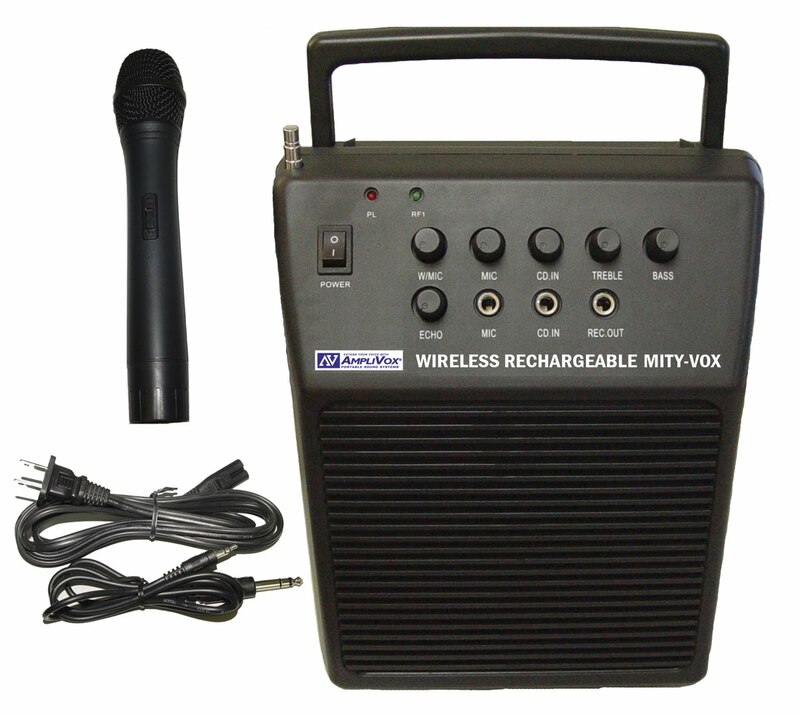 The wireless microphone and remote control complement the powerful 30-watt speaker and iPod dock that plays and charges your iPod or iPhone simultaneously! The Titan Wireless PA System is 100 watts and neatly organizes your microphones and other equipment in the top console. 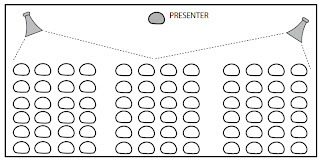 It is a favorite among presenters and entertainers because it is so easy to use! The Victoria Multimedia Lectern is a stylish option for presenters that features solid wood construction, scratch resistant coating, and an optional sound system built in. 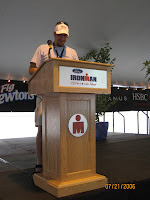 Custom Logos for lecterns are available. 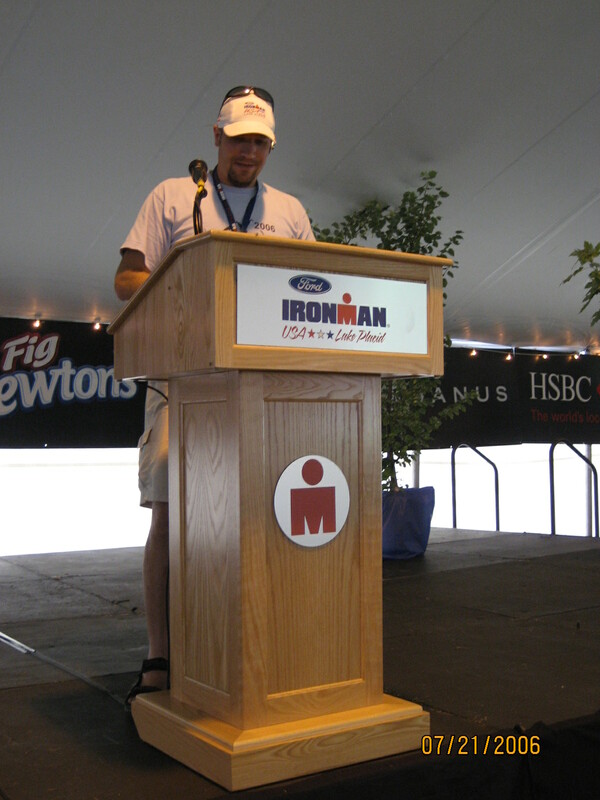 The Pinnacle Multimedia Lectern is the most versatile and durable lectern on the market. 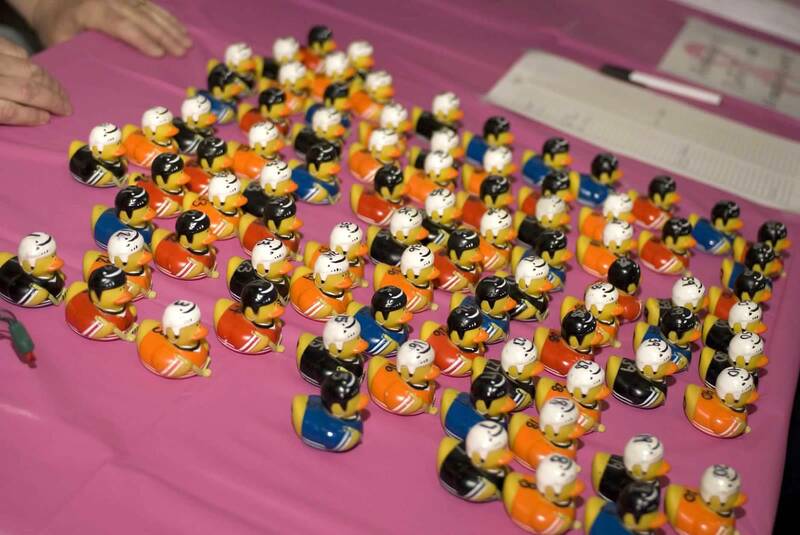 It is made of durable plastic (that features a 12 year warranty! ), has rolling casters for easy movement, and has an optional built in sound system. 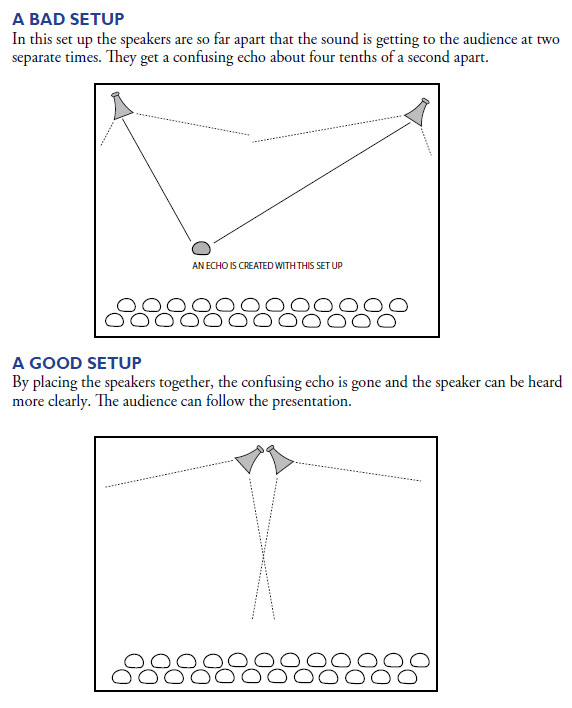 To hook up your in-house public address system all you need to do is plug in one cord! Watch video for proof. It also makes an excellent valet parking stand! 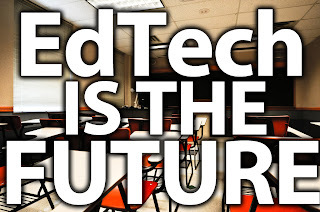 This blog is a list of the top education blog posts that have been posted on the AmpliVox Blog.